Browsing articles tagged with " Facebook Video Call"
Facebook announced its new Skype-powered video calling, as expected, along with a new group text chat feature. So, the social media war is getting exciting when Facebook + Skype vs Google Plus. “Video chat has been around for years now, but it’s still not an everyday activity for most people,” Su from Facebook said in his post. “Sometimes it’s too difficult to set up, or the friends you want to talk to are on different services. In another Facebook first, group chatting is coming to the world’s most popular social network. 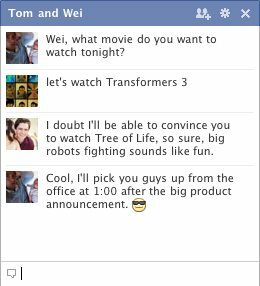 “Multi-person chat,” as Su called it in his post, has been one of Facebook’s most requested features. My 1st Facebook Video Call! I just went through the simple installation… and it worked! So far only 7 of my friend list installed this app, so I tried it with Jazz. It went well! The quality is nothing different with Skype and no lagging. Sound is good! Now, basically I can video call to everyone in my friend list – provided they have gone through the Facebook Video installation. 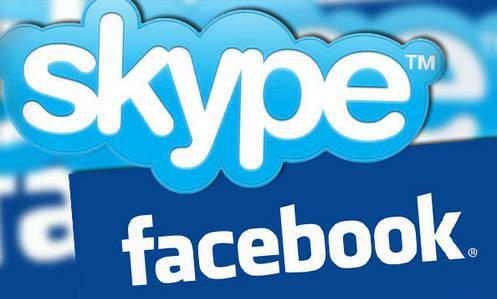 But no worries, few weeks to come, Facebook will make Video Call automatically available without installation. Install Facebook Video and webcam with your Facebook friends now! How to do it?